Accompanying the news that Valve has made a critical redesign of its ‘Knuckles’ motion controller, the company also recently released a new input system in beta that not only aims to create lifelike hands, but make them accessible to all SteamVR app developers. There’s a few ways current VR controllers can be used to estimate where a user’s fingers are at any given moment; integrated touchpads, button presses, or resting fingers on integrated capacitive sensors, which can sense when a finger or palm is touching a part of the controller or not—all of these data points can be translated into hand models with varying degrees of success. 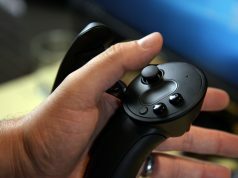 With Valve’s new input system, dubbed SteamVR Skeletal Input, the company is essentially giving app developers a ready-made set of lifelike skeleton-based hand animations that support a number of existent controllers: Vive controllers, Oculus Touch, and the new Knuckles EV2 design. More importantly though, Valve is putting the onus on hardware manufacturers to add support for the Skeletal Input system to their new controllers, and not the individual app developer. 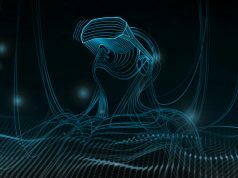 This comes as a big next step following Valve’s recently released SteamVR Input system, which lets users remap button configurations and allows developers to more easily support existing and future controllers. Knuckles EV2, for example, not only contains a touchpad, a joystick, trigger and buttons, and a number of capacitive sensing areas, but also a new force sensor, which detects actual grip force, and a track button which also has a force sensor. 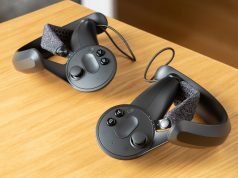 Valve says in a blogpost that the system its providing two basic possibilities for hand animations: one for a more accurate controller-in-hand animation, and another where hands are empty and a controller isn’t being rendered in-app. Check out the examples below of what the Knuckles EV2 looks like with and without the controller. Valve’s new SteamVR Skeletal Input system will also lets app devs mashup their own hand animations with the predefined examples by using one of the other in any given moment, giving hands the full range of motion as needed. Valve says a the full release is coming “soon,” and that currently only Unity developers can access the Skeletal Input API with the early release of the SteamVR Unity plugin. Documentation is now available on the OpenVR GitHub Wiki. Valve’s emphasis on “skeletal input” over ‘hand input’ is an interesting word choice. 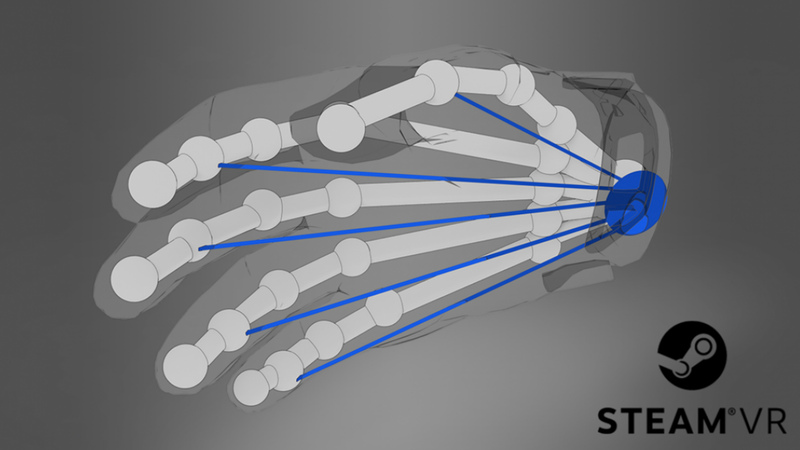 While the system does indeed aim to replicate models based off a simulated skeletal structure of the hand, it’s easy to imagine the system continuing its growth alongside more sophisticated tracking hardware with more tracking points, eventually providing an entire skeletal model of the human body as a standard for app developers. Whatever the case may be, with Valve integrating Skeletal hand tracking and smooth animations at the core of SteamVR means we may at very least say goodbye to blocky, lifeless VR hands for good. Good stuff .. once you have used Oculus Touch the wands under Vive… are lacking for presence to say the least. This type of technology moves us even closer where we need to be with interaction. It probably already supports MR controllers, the new layout appears to be strongly based on them after all. However MR controllers don’t support capacitive touch sensors, grip sensors, etc, so it’ll not be quite as accurate. Leapmotion was the first I thought of, as they already have their ‘skeletal input’ with their current SDK. For VR industry this uniwersal framwork for hand skeleton is even bigger deal than Vive controllers, great news.